Kenyan opposition leader Raila Odinga has lashed out at the international community, saying they had no moral authority to lecture him on anything illegal following his controversial January 30 swearing-in as people’s president. In an interview with the Kenyan Television Network of the Standard Media Group, Mr Odinga also maintains that President Uhuru Kenyatta cannot be a legitimate Kenyan leader following a controversial October 26, 2017 election he won after the major opposition party that Odinga leads, pulled out of the poll. “The international community is just a club of imperialists with no solution to our problem. 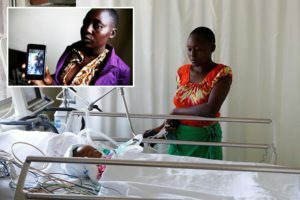 If they didn’t condemn the killing of Baby Pendo, Moraa and Mutinda then they don’t have the moral authority to lecture me on what is legal and what is not,” he told KTN. Rita: Your controversial oath on 30th elicited mixed reactions in the country, do you think it contravenes the constitution? Raila: Unless you prove before a court of law which part of the constitution I contravened, then the oath remains legal in its entirety. Rita: The international community issued a statement castigating the oath and urged you to use the legal means to address your grievances. What is your take on that? Raila: International community is just a club of imperialists with no solution to our problem. If they didn’t condemn the killing of Baby Pendo, Moraa and Mutinda then they don’t have the moral authority to lecture me on what is legal and what is not. Rita: NRM has been banned by [Fred] Matiang’i [Interior Cabinet Secretary] after being categorized as an organized criminal gang, do you think NRM is a proscribed group? Raila: How do you disband a movement not registered. 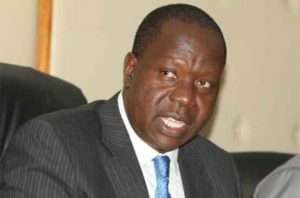 Can you ask Matiang’i what is the registration number of NRM and if he tells you we shall disband it but if he doesn’t, disbandment will remain a farfetched dream. Rita: Uhuru was elected on 26th October and legally sworn in by the Chief Justice, what then makes him an illegitimate President? Raila: Whoever purports to have been elected on 26th is not the President of the people. There are regions that he can’t visit today, because these regions don’t recognize him as the legitimately elected president. Rita: But the Supreme Court that annulled Uhuru’s victory upon your invitation is the same court that asserted his 26th October victory? 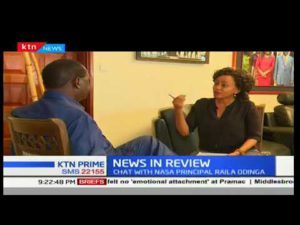 Raila: You are very right, no one disputes that. The court asserted his ruling based on evidence, facts and reasons before it by those who filed the suit. If you bring distorted evidence and incoherently argue out your case, you don’t expect to win a case. Rita: One of your confidants and close aide, Miguna was deported to Canada after the Interior Ministry found out that he wasn’t a Kenyan citizen, what is your say? Raila: You can’t mention Matiang’i and constitution in the same line. Instead of chasing around the likes of Miguna, let him come for me. The distance between his office and Capitol Hill here is very short. If he doesn’t find me here he can as well come over to my home in Karen. It is that simple.